The Auckland lawyer on charges on methamphetamine possession has been named by Fairfax as Marc Cropper. The former Simpson Grierson senior associate pleaded guilty to three charges of possessing methamphetamine last month. Simpson Grierson chief operating officer Mathew Taylor told Fairfax Cropper was no longer working for the firm, but said as it was a confidential employment matter, the firm would not be commenting further. Simpson Grierson confirmed this to NZLawyer. A Victoria University of Wellington alumnus, Cropper joined the firm as a senior associate in 2013, after working for London firm Addleshaw Goddard for five years. He was a corporate and commercial lawyer, with expertise in commercial transactions, structuring and regulatory compliance issues. He specialised in technology, telecommunications, outsourcing, payments (including mobile/digital payments), insurance distribution, loyalty programmes and commercialisation of data. He is set to be sentenced in October. 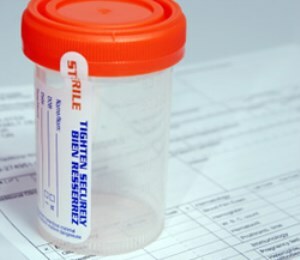 An increasing number of law firms are drug testing job hopefuls amidst the rising number of highly publicised incidents involving lawyers using or selling drugs, The Drug Detection Agency (TDDA) recently told NZLawyer. Prominent Wellington barrister Keith Jefferies was charged last year after a police raid unearthed drugs in his office, house and car. While New Zealand Law Society president Chris Moore was unable to comment on specific cases in accordance with The Lawyers and Conveyancers Act 2006, he made some general observations about drug use in the profession recently. "Although the practise of law can be fulfilling, it is nonetheless stressful,” he said.